Today's project features a trio of green. 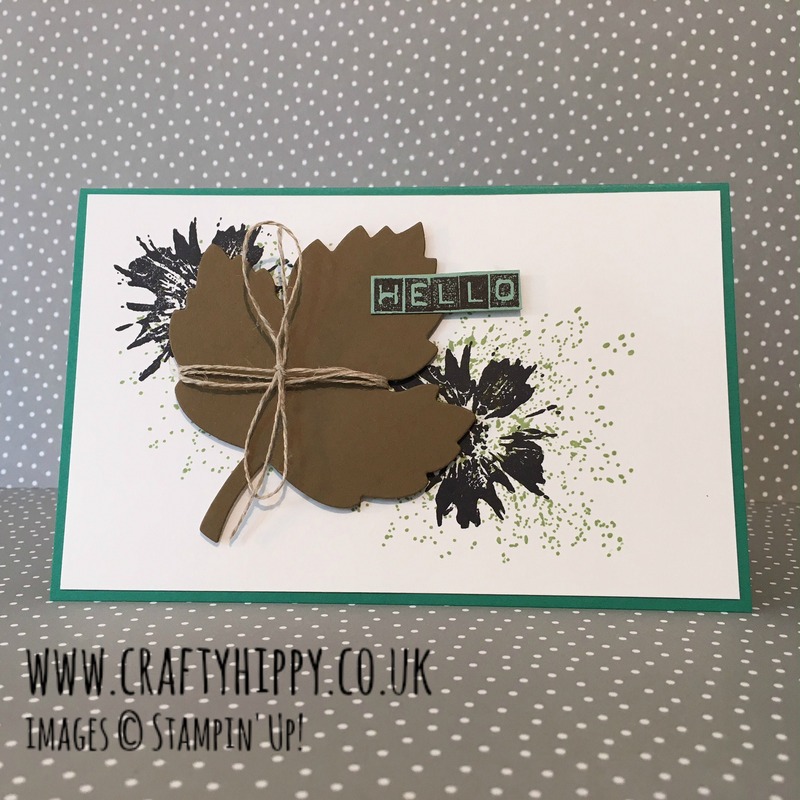 I have used Basic Black, Old Olive and Mint Macaron (now sold out) Classic Stampin' Pads, along with Emerald Envy Cardstock. I used the Touches of Texture (also available in Clear Mount) for the background stamping, and the Labeler Alphabet for the Hello sentiment. The leaf is cut out of Soft Suede Cardstock using the Leaflets Framelits Dies in the Big Shot. Don't forget that the new Annual Catalogue will be out on the 1st June 2017, so please come back and visit to stay up to date with all that is happening with Stampin' Up! I'll be back tomorrow with another project, enjoy your weekend!